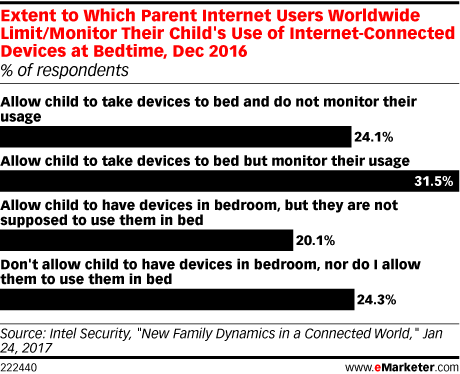 Data is from the January 2017 Intel Security report titled "New Family Dynamics in a Connected World" conducted by OnePoll. 13,000 internet users ages 18+ in 14 countries worldwide were surveyed online in December 2016. The majority of respondents were parents. All respondents use an internet-connected device daily. The countries were Australia, Brazil, Canada, France, Germany, India, Italy, Japan, Mexico, the Netherlands, Singapore, Spain, the UK and the US.